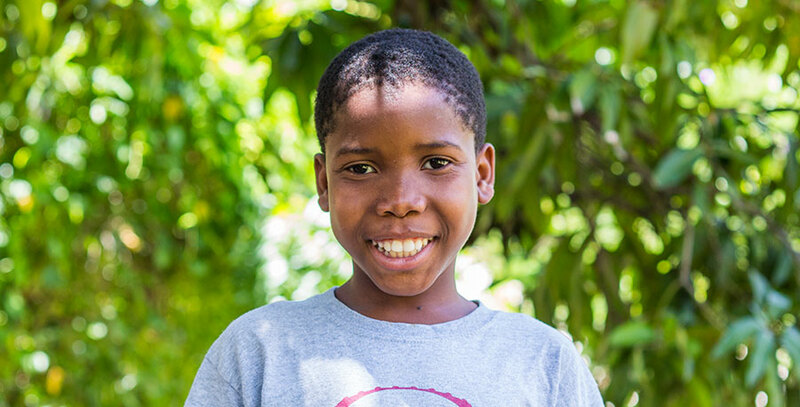 Stevenson likes living at the orphanage because he gets to attend school. He also works hard sweeping the yard every day. He is from the village of Les Cayes where his parents live with his four brothers and little sister. He misses his family, but he doesn’t miss Les Cayes. He likes Fond Blanc and wants to live here forever. He wants to become a doctor when he gets older. Stevenson is a great dancer with a lot of good moves. He makes people laugh with his funny dancing and funny faces. He gets along well with every one but his best friend is Woody. He sometimes acts as an introvert, but he loves to be goofy with everyone. He loves to play soccer with all of his friends. He would like everyone to know that God has created the heavens, the earth and the light! And that we should all celebrate God’s church.